This coffee shop is located at 325 CAMBIE ST. Awesome to explore the natural West Coast rainforest and enjoy scenic views of water, mountains, sky, and majestic trees along the Seawall. Discover kilometres of trails and beautiful beaches. I always order the banana slush, mmmh delicious !! This is Vancouver’s historic heart and the center of design, culture, food and fashion. Vancouver’s breezes carry the scents of nature and aromas of all the urban delights you’d expect from a city regularly voted, “the Worlds most livable”. The city takes its name from the British navigator who landed here in 1792. The original settlement was called “Gastown”, in honor of Gassy Jack, who built the city’s first tavern. Gassy Jack and his makeshift pub may be long gone, but in the historic neighborhood of Gastown, his spirit lingers on. After visiting Vancouver’s central highlights, ride the ferry to Granville Island. Stock up on provisions at the Granville Island Public Market and sample craft ales at Granville Island Brewing. From Granville Island, head to Queen Elizabeth Park on Little Mountain, a peaceful oasis high above the city. When it’s time to answer the call of the wild, cross the Lions Gate Bridge to The North Shore, a wilderness where bears roam and salmon-filled rivers flow through old-growth forests. Less than a two-hour drive from the city is Whistler Blackcomb Resort, the largest ski resort in North America. The beautifully connected runs here cater to all skill levels and attract elite skiers and beginners from all over the globe. Vancouver is a film and television production centre. Nicknamed Hollywood North, a distinction it shares with Toronto, the city has been used as a film making location for nearly a century, beginning with the Edison Manufacturing Company. In 2008 more than 260 productions were filmed in Vancouver. [non-primary source needed] In 2011 Vancouver slipped to fourth place overall at 1.19 billion, although the region still leads Canada in foreign production. A wide mix of local, national, and international newspapers are distributed in the city. 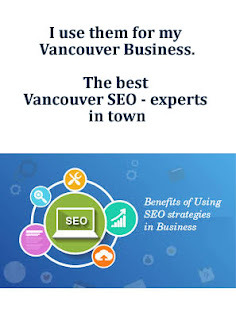 The two major English-language daily newspapers are The Vancouver Sun and The Province. Also, there are two national newspapers distributed in the city, including The Globe and Mail, which began publication of a "national edition" in B.C. in 1983 and recently expanded to include a three-page B.C. news section, and the National Post which centres on national news. Other local newspapers include 24H (a local free daily), the Vancouver franchise of the national free daily Metro, the twice-a-week Vancouver Courier, and the independent newspaper The Georgia Straight. Three Chinese language daily newspapers, Ming Pao, Sing Tao and World Journal cater to the city's large Cantonese and Mandarin speaking population. A number of other local and international papers serve other multicultural groups in the Lower Mainland.orld. As of 2011, Vancouver is the most densely populated city in Canada. Urban planning in Vancouver is characterized by high-rise residential and mixed-use development in urban centres, as an alternative to sprawl. As part of the larger Metro Vancouver region, it is influenced by the policy direction of livability as illustrated in Metro Vancouver's Regional Growth Strategy. Vancouver is one of Canada's warmest cities in the winter. Vancouver's climate is temperate by Canadian standards and is usually classified as oceanic or marine west coast, which under the Köppen climate classification system is classified as Cfb that borders on a warm summer Mediterranean Climate Csb. While during summer months the inland temperatures are significantly higher, Vancouver has the coolest summer average high of all major Canadian metropolitan areas. The summer months are typically dry, with an average of only one in five days during July and August receiving precipitation. In contrast, precipitation falls during nearly half the days from November through March. The City of Vancouver was incorporated on 6 April 1886, the same year that the first transcontinental train arrived. CPR president William Van Horne arrived in Port Moody to establish the CPR terminus recommended by Henry John Cambie, and gave the city its name in honour of George Vancouver. The Great Vancouver Fire on 13 June 1886, razed the entire city. The Vancouver Fire Department was established that year and the city quickly rebuilt. Vancouver's population grew from a settlement of 1,000 people in 1881 to over 20,000 by the turn of the century and 100,000 by 1911.